Tangled and True: sucre - chocolate! I know I said today would be a giveaway, I apologize that I didn't get to it. 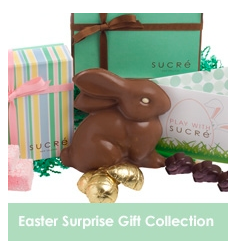 It's coming soon..
Today I wanted to let you know about an easter treat you don't want to miss, Sucre New Orleans, and if you order today you will receive a flat rate of $9.95 for shipping and they will still arrive in time for those easter baskets. 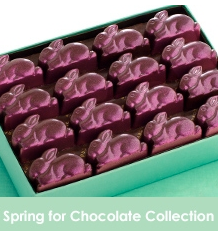 Who wouldn't love to find some of this easter chocolate in their basket? you should taste them. Some of the best chocolate I've had.. hands down! 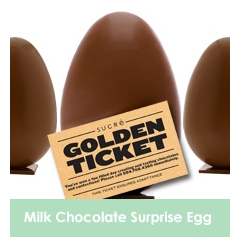 I know two little girls who are going to be so excited to find these Milk Chocolate Surprise Eggs in their baskets. So be sure to order today and take advantage of their flat rate shipping or free shipping if your order exceeds $70, but even if you miss the deadline, the extra money will be worth it. I promise! 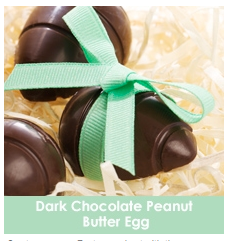 Mmmmm, those look so good!